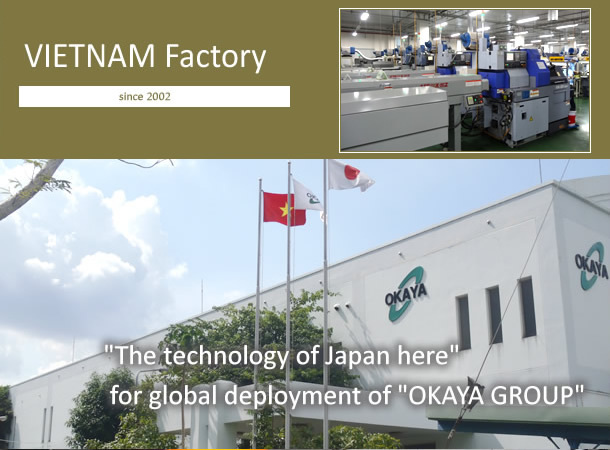 VIETNAM Factory | OKAYA SEIKEN Co.,Ltd. 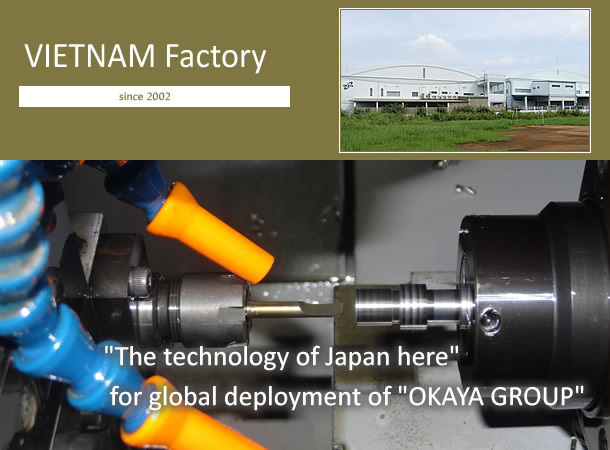 Vietnam Factory was constructed when the local corporation, Okaya Vietnam Co., Ltd. was founded in 2002. We provide deliberate care to our business partners by maximizing the advantage of location auxiliary to those partners. With local engineers trained in Japan and local staff who learn Japanese-style management technology, we supply high quality products equivalent to those from Japanese factories. 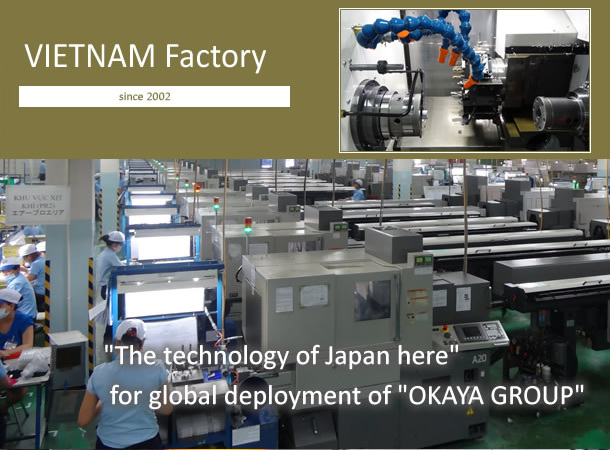 Now we have realized further production enhancement by operation of the Second Factory, and as the base of overseas development of Okaya Gr, we will meet our business partners’ needs more and more increasing.